Glider flying rates high on the scale of sport flying. However, the nature of the beast is that it requires more than one person to get a glider launched into the air. To make launching a non-team effort, the answer has been a powered glider that can be self-launched and then stay aloft in powerless flight. 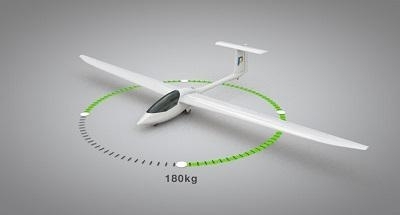 Now, a British company named ProAirsport is developing a self-launching system using hybrid electric and jet power. Their proposed aircraft falls into the British microlight certification standards, and how or if it will be certified for the U.S. market remains an open question. 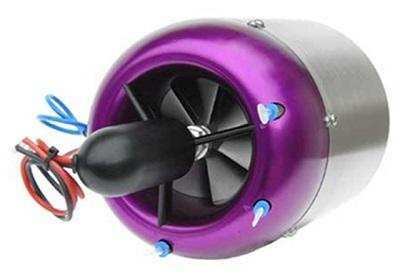 The small turbine engine is light weight with few moving parts and low vibration when compared to reciprocating engines. Turning the engine on (and off) is a simple automated procedure. A small air scoop is all that opens (and closes), the engine itself remains inside the fuselage, so in flight the turbine can be turned on and off easily with minimum effect on the glide performance. Their engine of choice is the AMT Titan producing max thrust of 88 pounds. According to ProAirsport, this engine is a tried and tested unit with a long in-service record. An electric motor is used for ground taxiing and for added acceleration on takeoff. The high-torque brushless motor is a standard unit customized for their use profile and with a purpose built controller. The motor provides the initial pre take-off sprint, quickly accelerating the aircraft to flying speed. The short peak output for the sprint means required battery capacity is minimized reducing weight and cost. Once again, recreational aviation is driving new technology. The website listed below provides an excellent video for more details.